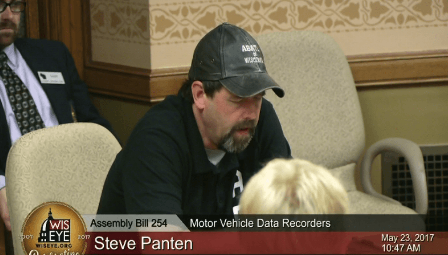 ABATE of Wisconsin Testifies at Data Recorder Hearings | Hupy and Abraham, S.C.
On May 23, ABATE of Wisconsin members testified at two hearings dealing with data recorder systems in motor vehicles. Although mistakenly referred to as the “Black Box” bill, it’s actually all the data collection systems on vehicles that the Wisconsin bills speak to. 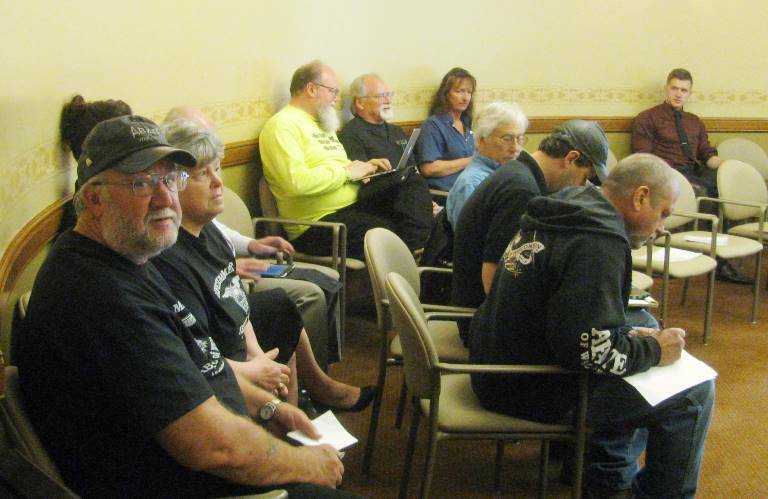 Joining ABATE at the hearings were members of the MRF, BOLT, AMA and one vintage car club, all registering in favor of Senate Bill196 and Assembly Bill 254. The first hearing was before the Senate Committee on Government Operations, Technology and Consumer Protection. Committee members included Senator Stroebel, Chairperson, with Vice-Chair Senator Craig and senators Kapenga, Wirch and Carpenter. Speaking in favor of the bill for ABATE of Wisconsin was Steve Panten, Legislative Committee Chairman. He was followed by Mike Schwarzenbacher of the AMA. They both did a superb job of explaining our concerns. General Motors Corporation, Ford and the Alliance of Automobile Manufacturers spoke against the bill, citing concerns over safety, enforcement and penalties associated with the bill. A spokesperson of the insurance industry spoke also, but did not object to the bill, admitting that much of the language the insurance industry wanted included or excluded had been worked out during numerous discussions and meetings with the various concerned parties. There was some confusion expressed by the senate committee members during testimony, but it appeared that the committee was favorable to moving the bill forward. The same wasn’t true in the Assembly Committee hearing. The National Highway Traffic Safety Administration moved federal regulations forward in the 2015 Driver’s Privacy Act, defining data stored or collected by Event Data Recorders (EDR) as property of the vehicle owner. Access to this data is by owner consent only, with certain exceptions like crash investigation, insurance claims or emergency medical response to name a few. EDR’s are not mandated to be placed in vehicles, but most if not all manufacturers already install them. The Assembly Committee hearing on AB 254, Chaired by Representative Duchow, included members Skowronski, Nerison, Macco, VanderMeer, Tittl, Berceau, Sinicki and Pope. Most of the questions came from Representatives Berceau, Sinicki and Pope, who were becoming more confused about the bill’s intent as the hearing wore on. Much of the confusion stemmed from testimony from Catherine McDermott, representing the Alliance of Automobile Manufacturers. She referenced the necessity for access to Event Data Recorders (EDR) and based most of her testimony around EDR use and its importance. She also complained about one of the “exceptions” to requiring consent for the data, citing Amber and Silver Alerts. That is confusing because to trigger an EDR, there must be an event like sudden braking or deceleration and a crash or near crash. This data is collected five seconds prior to an event and five seconds after an event. A crash needing medical response is one of the reasons for an exception to the consent rule. It’s uncertain how an Amber or Silver Alert could trigger a response in an EDR. That confusion continued as McDermott did not explain that consent for access to an EDR is already in the federal law, so her concerns were disjointed concerning EDR data. She failed to mention, as did her comrade from Ford Motor Company, that there are numerous other data collection systems in cars besides an EDR. How many is another matter of confusion. We heard from the General Motors spokesperson that it could be 20 or 30 different computers sending signals throughout the vehicle. These systems, not requiring owner consent for access, are what troubles ABATE and others at this time. ABATE of Wisconsin Deputy Director John Reblin emphasized this during his testimony. Both Ford and General Motors spokespersons were adamant in stating that neither company collects or shares the information being stored by Vehicle Data Recorders (VDR). What they didn’t say is that they couldn’t collect, share or sell data. Although federal law requires consent to access the EDR data, it does not mention VDR or any other systems on the vehicle requiring owner consent. Some of the systems are subscriber based, like OnStar or satellite radio systems that a consumer purchases and agrees to allow access. Although Ford does not install OnStar on its vehicles like General Motors does, it does have an application to link your cell phone to the car for location and other functions. As for OnStar, the General Motors spokesperson said if the vehicle owner does not subscribe to the service, they have no way and cannot access information like location. After more questions about OnStar arose, he admitted that they actually can retrieve that data even without a subscription if they were subpoenaed to do so. It doesn’t appear the bill language is correct and agreeable to all parties yet. That’s the bad news. The good news is it appears everyone is willing to continue working to find an agreeable solution. For now, the interested parties need to continue to talk about this and amend the language. These bills are not ready to move forward in their present form. You can view the testimony in the Assembly Committee hearing on AB 254 by clicking on the link about more information about this article below. 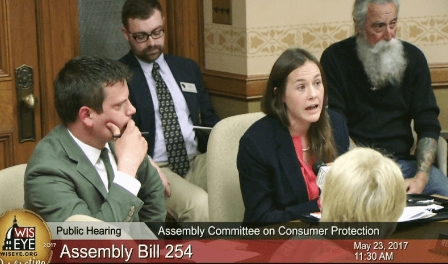 Look for recent programs, then click on More Related Stories; select the video on Assembly Committee on Consumer Affairs, 5/13/2017.